Product #21494 | SKU 64994 | 0.0 (no ratings yet) Thanks for your rating! 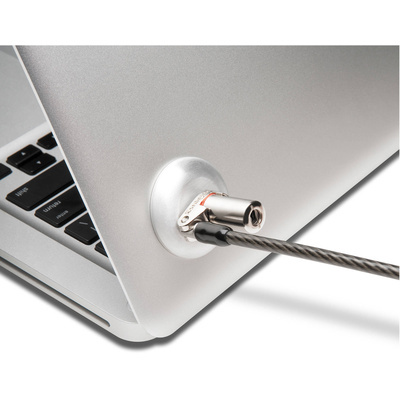 The Kensington Microsaver Ultrabook Laptop Keyed Lock is designed to work with ultrabooks, featuring a low-profile rotating head and pivoting cable. However, it also works with tablets and ultrabooks without a Kensington lock slot using the included adapter. The lock features a patented T-bar locking mechanism and cut-resistant 6' carbon-strengthened steel cable. Also, free online key registration allows for secure key replacement.